We visited the Apple Blossom Alpaca Ranch by Wayland, and we were delighted to meet the Pattysons’ and their alpacas. 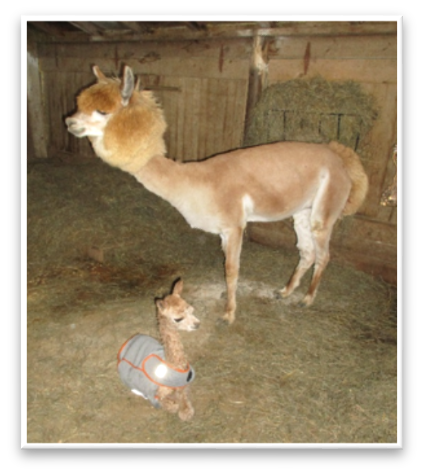 A baby (or creea) was born about an hour before we arrived, so we were very fortunate to get to see the little one! 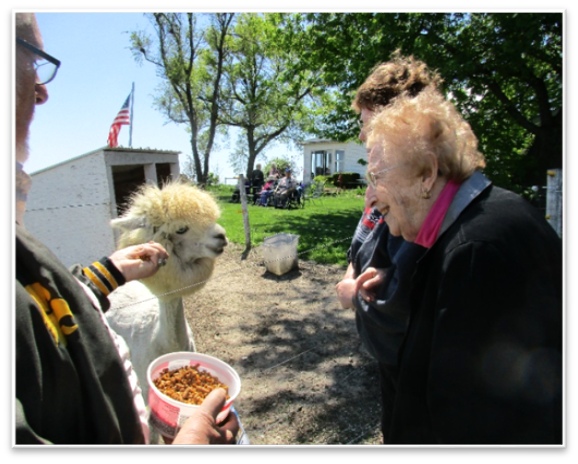 We had a picnic lunch while watching the alpacas graze, learned about the history and care of the animals, and saw items made from alpaca fiber. It was very educational and interesting. We thought about asking for a few to keep out on the golf course….